Home » Cuisinart SS-700 Review: Is This Right for You? Cuisinart SS-700 Review: Is This Right for You? This Cuisinart SS-700 review will be used mostly to compare the Cuisinart SS-700—which has been discontinued—with other similar models. You may also run across one for sale here and there. If you’ve been mildly interested in this machine in the past, it’s best to know its pros, cons, features, what it was worth when it was available, and how it compares to other machines before you decide to purchase a coffee maker you may not be able to return. It will probably be relatively affordable if you can find one. There was a reusable coffee filter so you wouldn’t have to always use K-cups—and there was a place to store it on the machine. An 80 oz. water reservoir meant not needing to refill as frequently as some machines require you to. The three-year warranty could offer some peace of mind when making the purchase. There were five cup sizes and an iced option, for variety. The first con is easy: it’s not easy to get your hands on a Cuisinart SS-700 anymore since it’s been discontinued. K-cups can be expensive if you drink a lot of coffee every day. This one didn’t require you to use them if you had a reusable filter, but the temptation to try tons of them might have been there. The description said it was good for just one person or entertaining, but entertaining with a single serve machine would not be all that efficient. It may have seemed a little pricey to some. Some users reported overflow of grounds and water on certain settings, as well as leaking and sometimes even not pushing the water through to brew the coffee. Now that It’s been discontinued, the Cuisinart SS-700’s price is pretty unpredictable. It will just depend on where you find it. When it was sold in stores, it seems to have been between $115.00 and $150.00. In some cases, it was around $200.00. If you don’t want to hunt down a Cuisinart SS-700 but generally like its features, you can find several other options within that price range. The Cuisinart SS-700 was a great coffee machine, but it’s nothing that can’t be replaced with something currently on the market. That means you won’t have to worry about tracking one down even if this one sounds perfect for your needs. You can get a single serve machine with similar features at a competitive price point without exerting a ton of energy in a search. And you won’t even be limited to Cuisinart’s offerings to do it (but Cuisinart certainly does have viable options). There are a few different models you might like if you were interested in the Cuisinart SS-700 review and thought it looked perfect for your needs. Some are from Cuisinart as well, while others are from Keurig. 4, 6, 8, or 10 oz. Also an iced option. 4, 6, 8, 10, or 12 oz. So how do they all compare, at the most basic level? Cuisinart SS-10: Extremely similar to the Cuisinart SS700 in features and price. 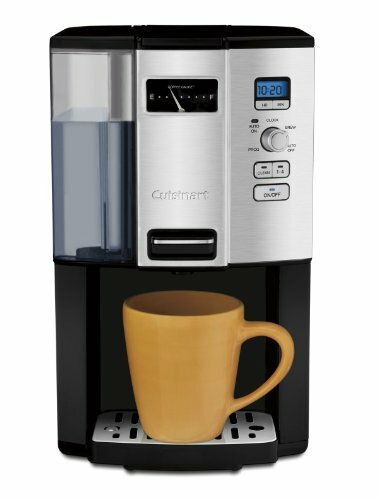 Cuisinart DCC-3000: Brews a full pot but dispenses one cup at a time to give a single serve type of experience. Not a lot of other bells and whistles come with this one, though. 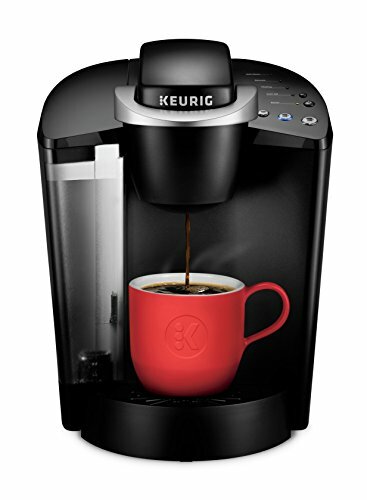 Keurig® K-Elite™ Single Serve Coffee Maker: This one also has a lot of similar features to the Cuisinart SS-700. It’s almost like that one, but with an upgrade (and from another brand, of course). 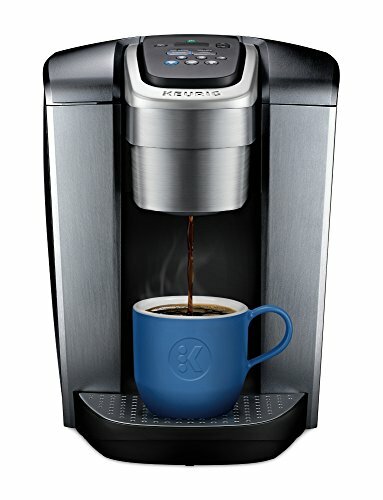 Keurig® K-Classic™ Coffee Maker: Very few bells and whistles here, but it’s a good basic single serve model that won’t cost a lot and is still on the market. This could be a good option if you just want a standard single serve machine and don’t need a larger reservoir. If you’re limiting yourself to the Cuisinart models, the SS-10 is your best choice. It’s the closest thing to the SS-700, but it’s still available (which means you’ll be able to get parts and support for it longer). If you’re interested in the Keurig brand now that you’ve had a chance to compare them all, the Elite will give you more options and more room in the water reservoir so you have to refill less frequently. However, it’s the most expensive one on the list. Shop around for deals. At the end of the day, it boils down to what you need in your home or small office. 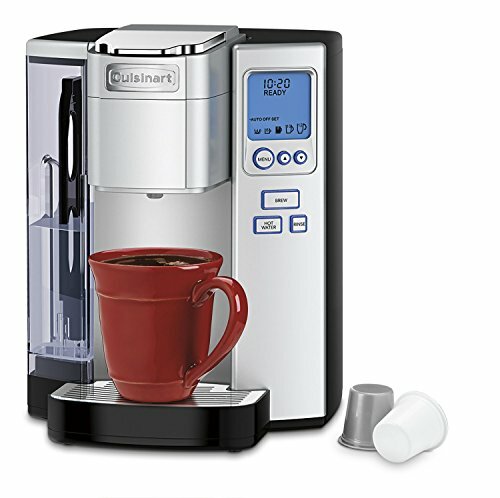 Any of these single serve options will work great, and only one, the Cuisinart DCC-3000 leaves out the option for hot water on demand so you can make tea and other beverages (or even soup or oatmeal) with it. Which of the options are most important to you? How important is the price? What can you spend? Do you need the largest water reservoir possible? Do you have a preference for traditional filters that you fill up once and let a whole pot brew that you can then pull from all day, now that you know it’s an option? How many cup size options do you truly need? Will you always be drinking a larger cup of great coffee, or do you really want the 4-oz. option? How much space do you have on your counter? There’s no “right” answer, but there’s a right answer based on your needs and preferences. There may even be two or three that would all work just as well for you. In that case, shop around for deals, discounts, and ways to earn reward points at a certain store and make your purchase based on that. Previous Post: « iCoffee DaVinci Review: Should You Buy It?